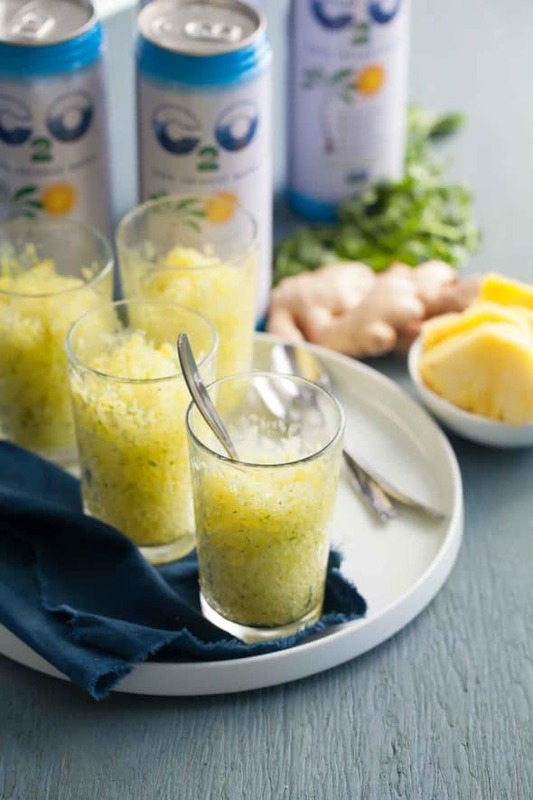 This pineapple ginger and cilantro granita makes for a light and refreshing warm weather dessert. 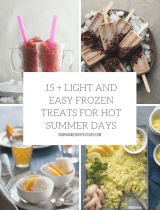 Want a cool and refreshing treat to beat the summer heat? Then this granita may be just what you’re looking for. Frosty and cool, granitas are the ultimate summer dessert. 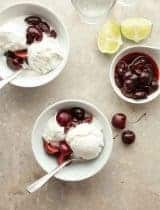 Lighter than ice cream and easier than sorbet, they’re a not too sweet finish to any meal or a nice afternoon treat to combat the fiercest of heat waves. 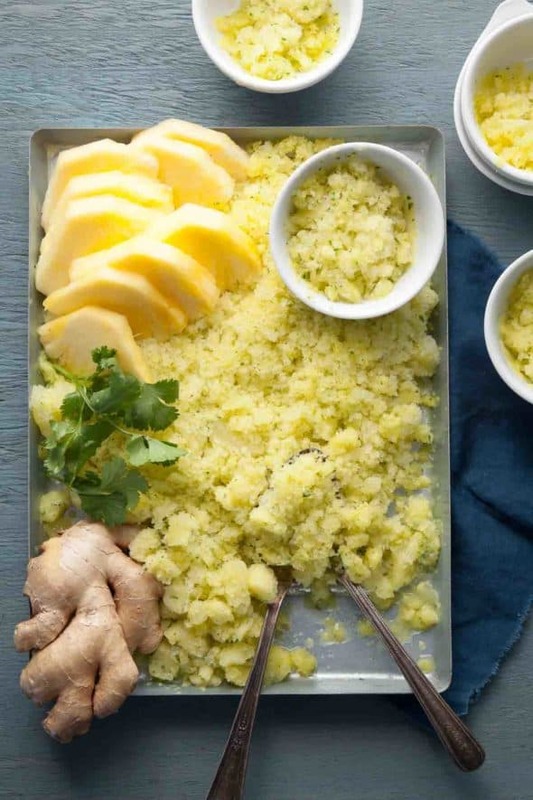 Those sweltering summer days may not quite be here yet, but don’t let that stop you because this pineapple, ginger, cilantro granita is really a breeze to make, all you need is a little freezer space. With only 4 ingredients, dessert doesn’t get any simpler, you just blend, freeze and scrape, no ice cream machine needed. And with the addition of %100 pure coconut water from C2O there’s not even any added sugar, just whole pineapple and coconut water with a hint of ginger for spice and cilantro for freshness. 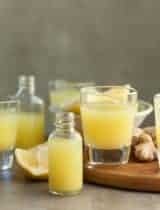 The natural sweetness of coconut water is a wonderful complement to the tropical flavors of pineapple and ginger. If you’re an ardent cilantro hater, you can omit it but otherwise I encourage you to be brave and include it as it gives the granita a unique and complex flavor that will surprise you in the best way. It’s sophisticated and a bit unexpected, but entirely refreshing. Blend the pineapple, coconut water and ginger root in a high speed blender until smooth. Add the cilantro leaves and pulse just until you see small specks of green throughout the mixture. Pour the mixture into a wide, shallow metal tray and place in freezer. Freeze until mixture is starting to firm around the edges, then use a fork to scrape the granita and make large icy crystals. Return to freezer. 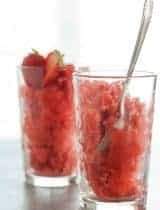 Repeat 3 to 4 times, every 30 minutes to an hour, until the granita is icy and fluffy throughout. 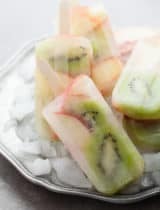 Keep in freezer until ready to serve. Serve in chilled glasses with extra pineapple slices if desired. I’ve partnered with C2O Pure Coconut Water today to bring you the chance to win a case of their coconut water so you can keep cool this summer as well! Just enter below for a chance to win. I LOVE all of these flavors!!! 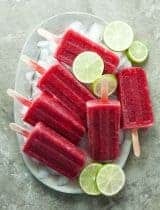 What a perfect snack for summer! I love this recipe. It's absolutely perfect. Coconut water is so good, and this is the perfect use for it. Love the photos. Ahhh this photo! These flavors!!! You nailed it! Love these flavors! So perfect for summer! This looks so refreshing. Perfect for summer! I LOVE this! This is so creative, love all of the cilantro. What a refreshing treat. 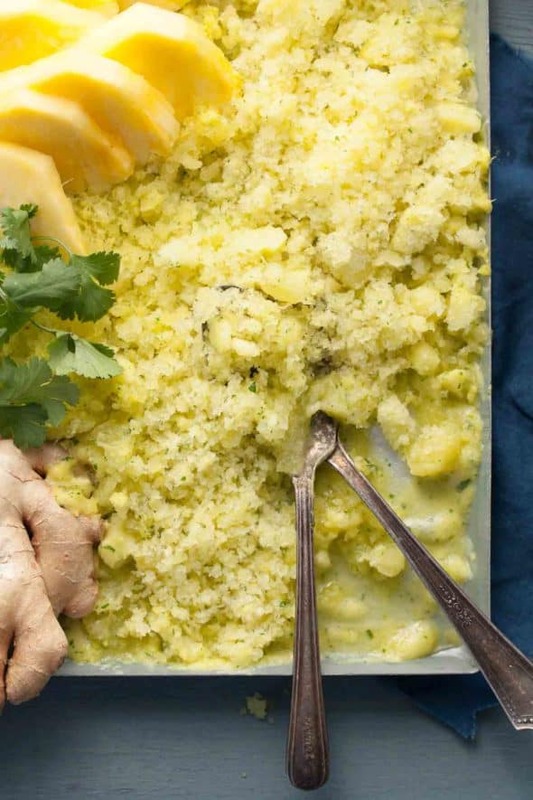 Loving the ginger and cilantro in this, it literally epitomizes a refreshing summer dessert. 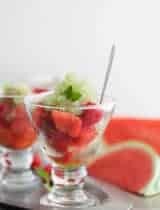 Granitas are the best too because they couldn't be simpler!